Lock in a great price for Pullman Magenta Shores Resort – rated 8.6 by recent guests! Very peaceful place to stay. The breakfast was great with the golf course view. Facilities were all to ourselves during our stay. Lovely stay at a resort where quality accommodation appears to be a little on the light side. Very happy with the room, staff, amenities and breakfast. Excellent location with easy access to the almost private beach. Good pool facilities with 3 swimming areas. Very friendly and warm staff. Spacious living areas. Great for families. The thing that most stood out to me was that the Reception Manager called me on my arrival day to ask when I would be arriving and he could organise room service dinner for me as I would be arriving late in the evening . Never had a hotel staff member let alone Reception manager go out of there way to accommodate me! So lovely! Also lovely check in experience , the reception manager was so friendly and made sure I had everything and knew where things were. The bed was really comfortable in the room! I was amazed at how huge the resort was! Lovely accommodation. Enjoyed the massage. Great holiday away from home and work. The villa is spacious, fully equipped, new and clean. I loved the facilities, although the beach was quite a walk, it was so worth it, if you want a quiet beach to yourself. And the pools were great, it was within like a 2 min walk. The staff were so friendly. Definitely would recommend this place for a nice getaway. Absolutely a treasure to stay at, restaurant was delicious and reasonably priced.Definatley be staying there again!!! Pullman Magenta Shores Resort This rating is a reflection of how the property compares to the industry standard when it comes to price, facilities and services available. It's based on a self-evaluation by the property. Use this rating to help choose your stay! On the beachfront, Pullman Magenta Shores Resort features direct beach access, 2 tennis courts, indoor and outdoor pools, a fitness center and spa facilities. 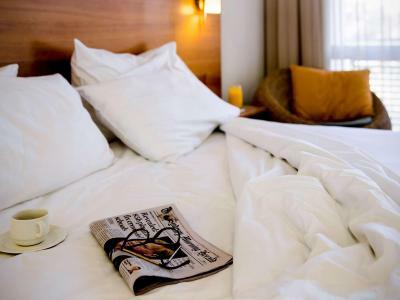 The spacious guest rooms are air-conditioned and include cable TV, work desk and a private bathroom. 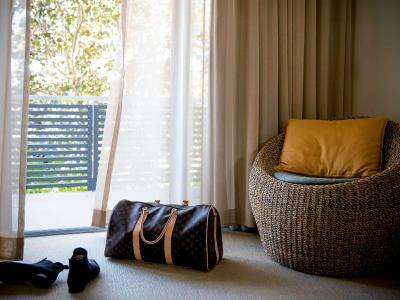 Rooms offer views of the garden, pool, or the golf course. Guests of Pullman Magenta Shores Resort can relax in the steam room and the spa. The resort also has a playground, golf and barbecue facilities. Between Tuggerah Lake and the Pacific Ocean, Pullman Magenta Shores Resort is a 90-minute drive from Sydney. Free on-site parking is available. When would you like to stay at Pullman Magenta Shores Resort? This air-conditioned studio features cable TV, a minibar and tea and coffee-making facilities. 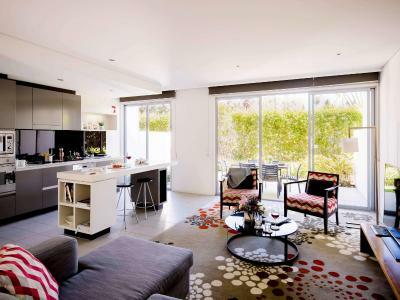 Features 2 bathrooms, a spacious lounge and dining area and a private terrace with view of the grounds. This air-conditioned villa features full kitchen and laundry facilities and a living room with cable TV and a DVD player. House Rules Pullman Magenta Shores Resort takes special requests – add in the next step! Pullman Magenta Shores Resort accepts these cards and reserves the right to temporarily hold an amount prior to arrival. This property exceeded our expectations, we were upgraded without asking which was a bonus and the staff were above a 10 rating. The weekend was fabulous!! Beds a bit soft (but undoubtedly perfect for some)! Convenience of self catering, with resort facilities- great for a holiday with young kids. Almost perfect, but found the surface of sofa got sort of water marks left before. Perfect location, very easygoing staff. Booked a villa with great property pool views from the balcony of second floor. The shower head came off in my hands when trying to adjust the height. It was rusted and broken. Breakfast, at $36 per person, represented poor value for money. The golf course was exceptional. Unpacked the car and went to reception to book in only to find our apartment was a driving distance from reception. Back to the car repack and then drive to our apartment. Also the shower head was broken. Modern, comfortable and clean accommodation. Didn't get much assistance with watching movies on demand. It was not working in the hotel and no assistance was provided when I called reception. We got upgraded to a three bedroom villa. However, we didn't have the wifi router. Air conditioning a little loud. Films available, but at extra cost. 3 bedroomed spacious apartment, which was well equipped, with modern kitchen and laundry facilities. Extremely good value. Veranda at rearm overlooking the swimming pool.